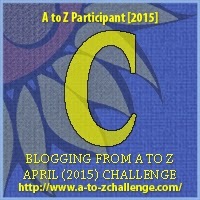 So this blogging challenge is, in and of itself, indeed a challenge. As I navigate my full time job, being a wife, a mother of three and a foster mom to a puppy, it is hard to carve out time in my schedule to write. This has and always will be a challenge. When you consider the fact that I am also a world class procrastinator, it is a recipe for an uphill climb that when the end of the day comes, I am oft too weary to take on. I had intended to write about Camp Aranu’tiq, a camp for transgender and gender variant youth that my daughter will be attending this summer. However, that would be a long and meaningful post that unfortunately the Universe was not willing to assist me in writing. Yesterday afternoon, whilst doing the dishes, a wine glass shattered in my hand, shredding a couple fingers and necessitating stitches and splints for two fingers. So, the challenge now isn’t so much the challenge itself anymore, the challenge now is typing and keeping the pain at a minimum. I urge you to Google Camp Aranu’tiq. And I promise that once the stitches are out of my hand, I will dedicate some meaningful time to telling you all about it.